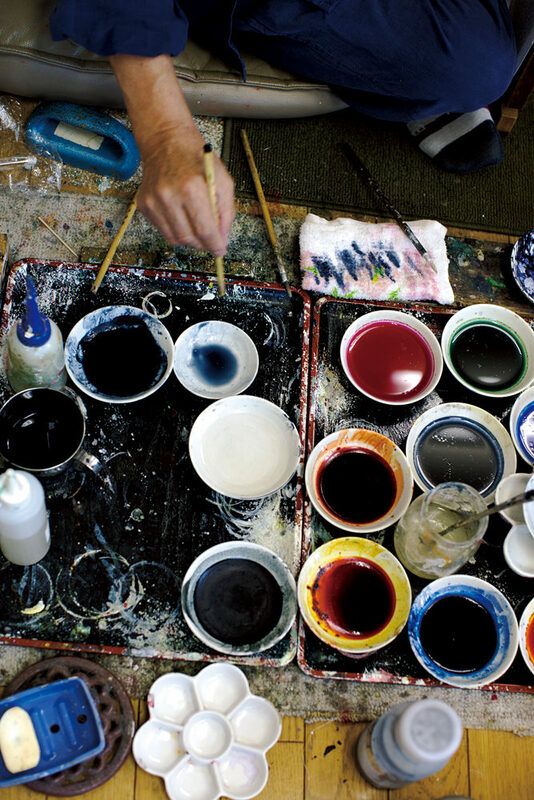 Yuzen is the most typical Japanese way of dyeing kimonos. 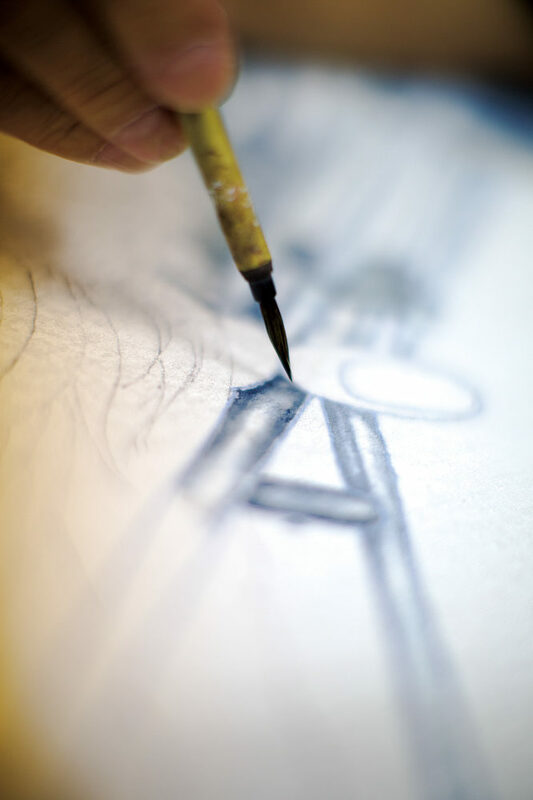 One of the biggest feature is that a strings-like white line is left in the outline of the design. 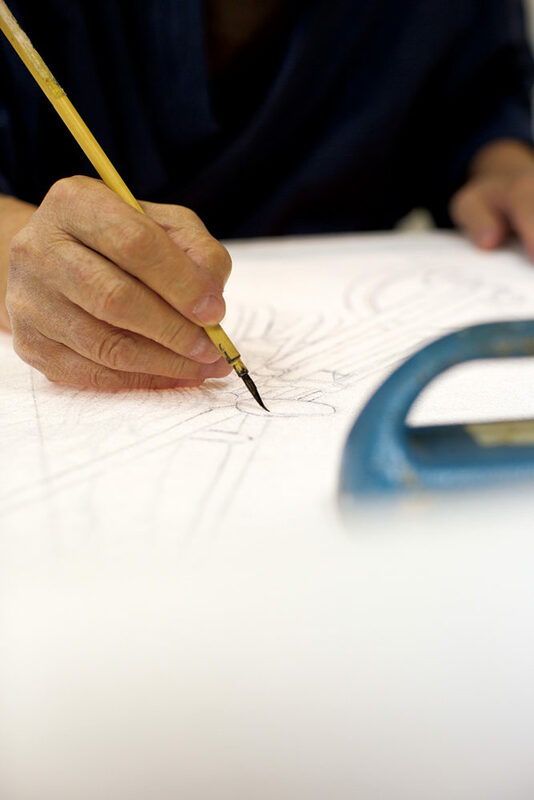 In case of drawing by hand Yuzen, an Aobana※ (the dye which disappears) is used as ink for sketches. 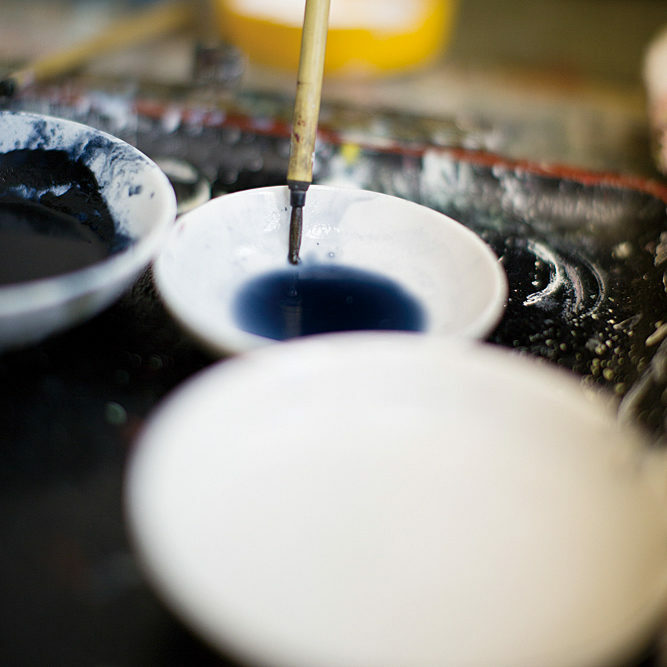 ※ Aobana：The dye out of which a dayflower was squeezed. 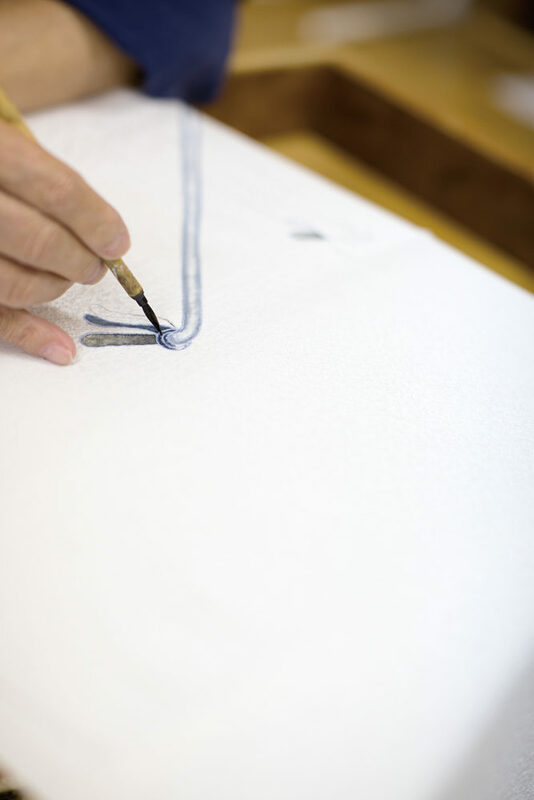 A sketch of each part of a kimono is copied onto a white silk fabric. 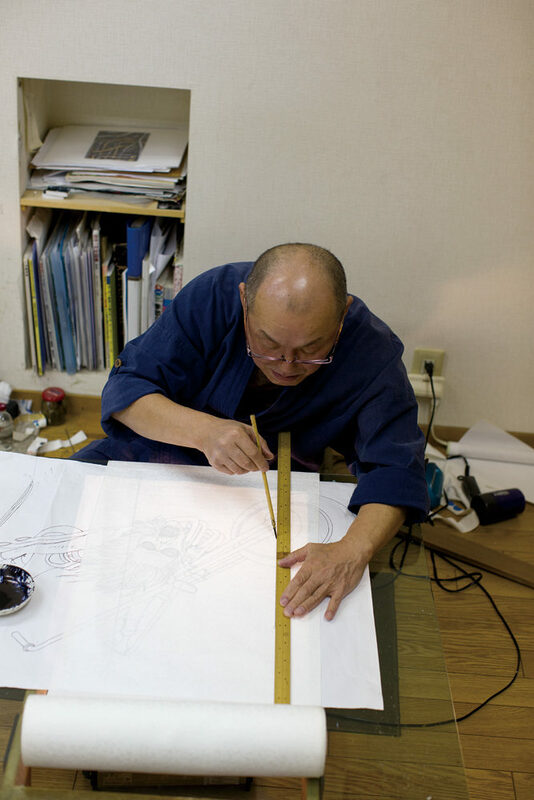 In order to keep the finished pattern from shifting, not even 1mm of failure is permitted. 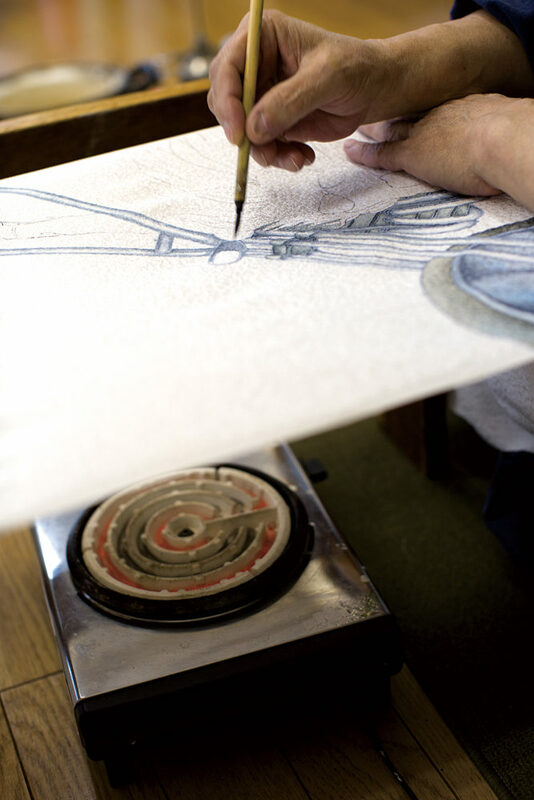 An outline (Itome) is being drawn by Bousenzai(The liquid which stops dyeing) on a sketch. 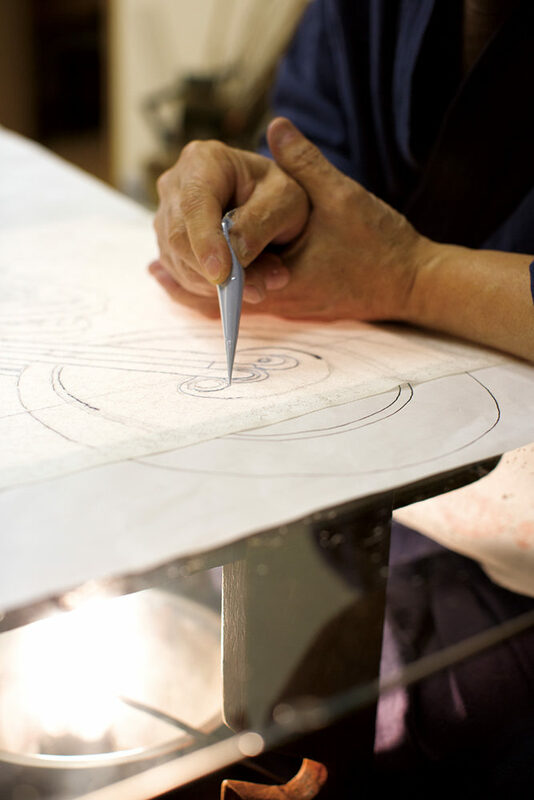 It's a work of skillfulness to draw a fixed line by thin metal fittings. 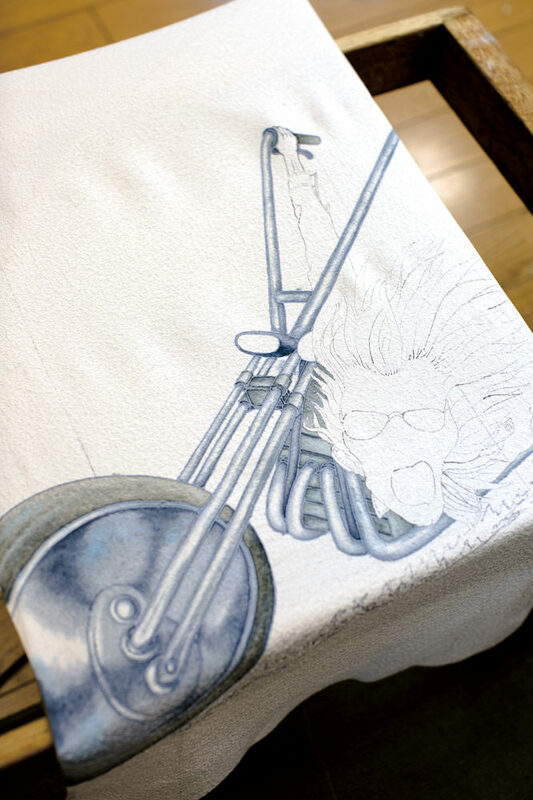 Next it's colored while drying by an electric hot plate so that the dye doesn't spread. Yuzen suits stiff materials such as a motorcycle.